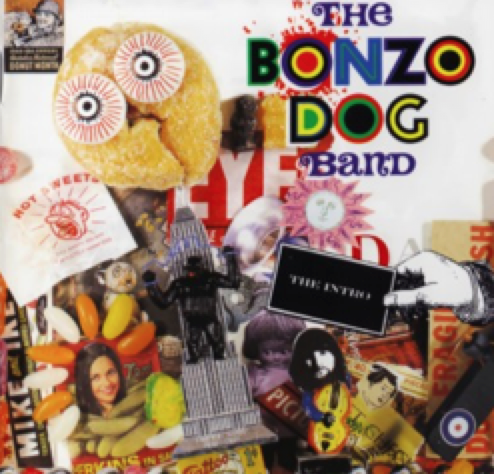 Seeing Bonzo Dog live in the noughties was one of those defining “closure” moments in life for me. I was living in Barnsley at the time and I drove over the Pennines to see them especially in the Liverpool Philharmonic Hall. For the entire duration of the gig I sat grinning, amused and yet saddened that I was watching one of the last concerts for the band, two of whom had died and most of the remaining members were on their last legs. Still it was an amazing night. But before then I had only this album to remind me of their greatness. Cornology is a three volume album consisting of the bands 5 albums and some of their solo work. Divided into Intro (formed of Gorilla and The Doughnut In Granny’s Greenhouse), Outro (Tadpoles and Keynsham) and Dog Ends (solo bits and Let’s Make Up and Be Friendly) the album carried me through my first stint in university and beyond. Bizarre humour of the British kind often lost on the youth of today. Skilfully crafted music derived from old gramophone whimsies brought kicking and screaming back into modern music times for all to hear. It was this album that began my obsession with rights free Gramophone recordings and introduced me to music that most people would find offensive today. But more of that later. Probably. Madness. This is a compilation of an eccentric British nonsensical band. The band that invented Steampunk. The band that invented Hipsterism. The band that sits down with a nice cup of tea and tidy waxed moustache in the middle of a battlefield. 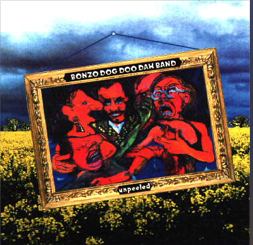 If you are unfamiliar with Bonzo Dog you should be. Deliciously silly. Scrumptiously British. With a nice tang of the absurd and a rich saucy aftertaste of the chaotic. I had the good fortune to see B3DB a few years ago, sans Viv Stanshall of course, but it was a memorable show and still timeless.